Tai Chi has many health benefits, and can be an excellent moving meditation technique. Meditation isn’t just sitting. Many moving meditation techniques can work just as well as the sitting variations. Often a beginner finds a walking meditation, or a meditation with hand movements to be very soothing…. where trying to sit still feels frustrating. Tai Chi is more than just meditation, as it has elements of marital arts and physical health and development. But it can also be seen as primarily a moving meditation technique. Health: An unhealthy or otherwise uncomfortable person may find it difficult to meditate to a state of calmness or to use tai chi as a martial art. Tai chi’s health training, therefore, concentrates on relieving the physical effects of stress on the body and mind. For those focused on tai chi’s martial application, good physical fitness is an important step towards effective self-defense. Here is a delightful look at learning Tai Chi from Amy Verner, writing the The Globe and Mail. I met up with TTCS international director Andrew Hung in Grange Park in Toronto with a small group of disciples. They were very accepting and encouraging of my newbie status, gently introducing movements with exotic names like Grasping the Bird’s Tail and Single Whip. Learning tai chi is entirely different than, say, learning to dance like Usher (for anyone who’s ever tried). There is a beautiful yin and yang or oppositional rhythm when the movements flow into each other. This carries over from its martial arts origins; the point is to meet an incoming attack softly, follow the motion and redirect swiftly with the force of an elastic band. To help me understand the necessity of a relaxed body, Mr. Siadatan used the analogy of how young trees have flexible branches whereas the ones on dead trees are brittle and break easily. All of this made perfect sense; but it would take several sessions before I could feel the difference. Breathing adds another layer; inhaling happens when the abdominal wall contracts and exhaling happens when it expands. Apparently, this helps stimulate chi in the tan tien, an area below the navel that stores all our internal energy. This is why tai chi is said to increase energy rather than expend it (as running does, for example). Mr. Hung could not reinforce the notion of balance enough. It is the first step to achieving skeletal alignment. Are you interested in learning some moving meditation techniques? I cannot teach you Tai Chi, that’s for sure! But many people find that moving during meditation is very helpful. Often times people with severe pain can concentrate best when moving a little… or people who are particularly energetic or restless … or sometimes it’s really nice to have a walking meditation for no reason at all! If you would like me to put some moving meditation techniques into the free guided meditation series that we offer on this website, please leave a comment below, and if there is sufficient interest, I’ll be sure to follow up on that! Yes please! I would love to incorporate Tai Chi into my meditative practices! We’ll have some form of moving meditation in the free meditation series. Can’t promise Tai Chi … as that’s outside of my expertise… but something good for sure! Thanks for taking the time to comment Felicia… we really do like to hear from our readers! Hello, I’ve been studying Tai Chi for about 10 years now. If you’ve never studied a martial art and are interested in Tai Chi, then finding an experienced instructor is crucial. It is considered to be the, “Grand Ultimate Fist” after all. 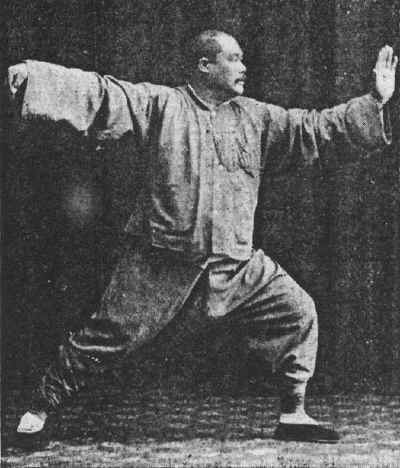 Lore generalizes the path of the kung fu master as learning the hard styles we are familiar with from the movies, only to retire in order to practice Tai Chi in solitude. Anyhow, I’ve studied martial arts my whole life, and began learning Tai Chi through book and dvd lessons I found on http://www.ymaa.com Dr. Yang Jwing-Ming is an incredible Grand-Master and offers great lessons through his publishing company. Thanks Mathew. My experience is that having high quality teachers is important in everything we learn… .so I’m totally down with what you are saying. Thanks for contributing. I’m so very interested in meditating in this form, and am delighted to see this here today as I was thinking of this very form of meditation. Please send a link to learn more. I love tai chi! For years I did it until lymphedema made it impossible to continue. But I just loved doing it, for about 30 minutes a day. The awesome thing is that you feel the chi moving, as you direct it. It is a fantastic form of meditation and personally I like it much better than yoga. Some day soon I will start again, once the lymphedema has gone down. Thanks for posting this. I would love to hear more about moving meditation techniques. Thanks!! Coming right up Terry…. make sure you subscribe to the guided meditation series by putting your name and email in the box at the top right of every page. That’s how we will notify you.